In order to work through their trauma and begin the healing process, children require an atmosphere of safety and stability. This includes an emotionally consistent parent or caretaker. A child needs to trust that, no matter what, a caring adult will be there for them. But sometimes, that feeling of security is broken. The resulting stress can be traumatic for a child, causing negative reactions that interfere with the child’s day-to-day functioning and overall development. A trauma occurs when a child feels intensely threatened, scared or shaken up by an event that happens to the child or to a loved one, while experiencing feelings of helplessness and loss of control. Whether it’s an emotional trauma or psychological trauma (ex: losing a loved one) or a physical trauma (ex: physical abuse), the event creates stress and erodes the child’s sense of stability. The traumatic event may be dangerous, scary or violent, and could threaten the child’s physical safety or life—or it may be less dramatic but still impactful to the child. These experiences can produce physical, psychological and emotional reactions that last a lifetime. We all encounter difficulties and stressors from time to time, but note that traumatic responses interfere with daily life, impact the ability to function and affect interactions with others. Trauma is universal. Children across the globe are susceptible to trauma—but various factors shape the experience and understanding of these events (ex: cultural contexts; past experiences; and neurobiological, individual and internal coping mechanisms). A traumatic experience changes the brain. Undergoing a traumatic event puts a child’s brain in survival mode and affects the nervous system. After the event subsides, these systems may return to their normal functioning. But if a child is deeply traumatized, the brain can remain in a state of constant high alert. Unresolved trauma can have lasting effects on the brain and body. Not only can traumatic stress lead a person to engage in high-risk behaviors (ex: substance abuse, smoking or eating disorders), but research indicates that survivors of child trauma can be more likely to suffer long-term health issues (ex: heart disease or diabetes) or to die prematurely. Child trauma can also interfere with relationships and bonding, and survivors exhibit a higher use of mental health and other health services, as well as a greater level of involvement with the juvenile justice and child welfare systems (NCTSN.org). Traumatic stress can even impact future generations. What a child experiences in the first years of life tends to resurface as new behaviors in adolescence (ex: malaise) and continues to manifest into adulthood. An adult who has not adequately resolved their own childhood trauma may have trouble maintaining employment and building relationships, and may be ill-equipped to support their own children’s development. This serves to keep the trauma alive into the next generation. With seven decades of experience informing our work, SOS Children’s Villages focuses on helping children at risk. Many children in our care have suffered past trauma, including the loss of parental care. Regardless of prior traumatic experiences, we believe that every child has the potential for growth, development, healing and extraordinary resilience. The basis of our time-tested approach is the belief that stable care in a safe, loving home is the foundation of a healthy upbringing. Children who grow up in a supportive family and community have a greater chance to realize their full potential, lead an independent adult life and build resilience to overcome the traumatic experiences of their childhood and meet life’s challenges. We know that the first years in a child’s life are crucial for their future mental health. Therefore, we pay particular attention to early childhood development. We work to ensure that all young children in our programs receive appropriate care, stimulation and support to overcome traumas from their past and build resilience. Through the generosity of our supporters, SOS Children’s Villages offers mental health programs and services to children, families and communities and trains SOS mothers and core care workers to provide critical help to children who have been exposed to traumatic experiences. This work helps children and families rebuild their lives. With the love and encouragement of a parent or caregiver from a young age, children are better able to develop basic life skills such as communication, cooperation, problem-solving, setting of personal goals, self-confidence and determination: critical qualities needed to help resolve the lingering effects of trauma. Ultimately, children with stable care are more likely to have healthy relationships, find steady jobs and transform their communities for the better. Whenever possible, we encourage biological families to build connections and stay together. That’s why we support familial relationships through our family strengthening programs. We’re even committed to helping extended families who take in child relatives. But for many children, living with their biological family simply isn’t possible. Their parents may pass away, abandon them or be otherwise unable to provide care—and a child suddenly finds themselves all alone. For instance, when children are forced to flee their countries, they not only require support for their physical needs, like food, clothing and shelter, but also for their emotional needs. For refugee children, the stress from running for their lives and the tragic loss of their families can take an irreparable toll. That’s where SOS comes in. Treating the impact of conflict, hatred and loss of parental care takes dedication and a long-term commitment. SOS Children’s Villages employs experts in child care and mental health, and we ensure thorough and proper training of staff who work directly with children. Through specialized trauma recovery techniques, we empower these children to rebuild their futures, step by step. Our counselors provide psychological support to help children cope with their anguish and grow up stronger. Among our experts on staff is Teresa Ngigi, who trains the mental health and psychological and social support team for SOS Children’s Villages Syria, and provides support for Syrian children in SOS care. A licensed psychologist, she has also trained mental health specialists at SOS Children’s Villages in Sierra Leone and Somalia, and was part of the emergency team that responded to the devastating landslide near Freetown, Sierra Leone in August 2017. In all 135 countries in which SOS operates, we are highly sensitive to the past traumas of the children in our care. The following examples represent just a handful of programs and services that we provide to help children heal. 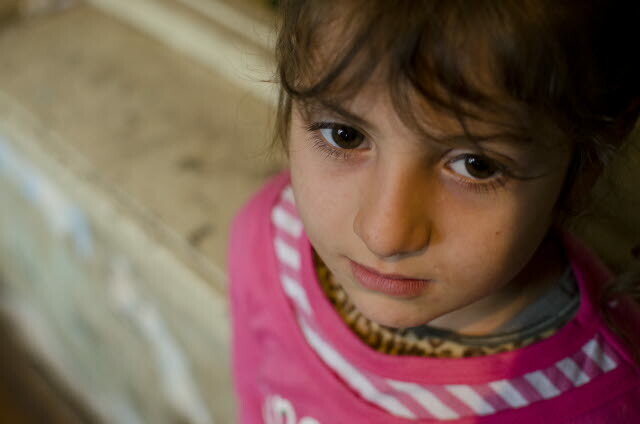 The civil war in Syria has produced toxic stress in children. SOS Children’s Villages plays a vital role in healing those who have lost parental care or are separated from their loved ones. In Iraq, unaccompanied children forced from home face the horrors of war that still haunt their dreams. To safeguard mental health and provide trauma recovery, we offer emotional and psychological support services to lighten the burden of trauma these children carry. Counseling is a critical step on the path to recovery. SOS professionals work in seven-week group therapy sessions using trauma recovery techniques to help children recuperate and focus on rebuilding their lives. But sadly, this path is complicated by the intense stigma against mental health services in Iraq. With the help of our supporters, we’re not only able to guide children to cope, but we also conduct advocacy work to teach the fundamental importance of acceptance and forgiveness. - Trauma treatment of 800 children and young people. With the help of various techniques, severely traumatized victims of ISIS learn how to regain control of their thoughts, emotions and reactions. Children are given intensive support and assistance over a number of months. - Training local volunteers to become counselors who can provide effective help for the children in coping with their traumatic experiences. - Professional training for 20 Iraqi psychologists in providing trauma therapy to children. - Play therapy activities that promote tolerance, communication and a sense of community among the children. An SOS Children's Villages kindergarten in the Khankerefugee camp offers boys and girls a place to play, learn and experience normality—andjust be children. We help children like Behram, a 13-year-old boy who fled with his family to escape the ISIS attack on his village. Even four years later, Behram is tormented by the memory of a child he saw in a burning house. Thankfully, he learned the trauma recovery technique of transforming his hand into a television, imagining he has a remote control, and switching the channel from his petrifying memory to a happy one. He is able to utilize this technique to regulate his response to his trauma. In Sierra Leone, children are not just part of a family but they ‘belong’ to the whole community. While this can have positive effects, it also results in children being passed around from caregiver to caregiver. Having multiple caregivers seriously impacts children’s ability to bond, affecting relationships in childhood and also later in life with their own future children and spouses. Some of these children have grown up to be the adults who work with SOS today. SOStrains teachers in the Hermann Gmeiner schools, village leaders, upper-level staff, clinical staff, hospital staff and nurses about adolescent mental health challenges. But before training these adults on how to help others, we lead them to identify and confront their own childhood traumas. This enables them to better connect with the children in their care. In the town of Fót, located outside Budapest, refugee children are given a new lease on life. SOS Hungary’s Mobile Team utilizes fun, creative ways for children to cope with past trauma. For instance, the team encourages children to open up about their problems through a playback theater group, in which children in the audience share personal experiences and actors act them out. This therapeutic and liberating exercise helps youngrefugees process their trauma and regain their confidence. With the help of our supporters, we give these children their voices back and allow them to finally heal. In August 2017, the Myanmar military began to attack the country's Rohingya community—burning villages to the ground and killing or assaulting thousands of innocents. The unprecedented violence against this long-persecuted minority forced thousands of families to flee for their lives. Today, there are approximately 500,000 Rohingya children in refugee camps in Bangladesh. They are traumatized by the atrocities they witnessed, under threat from natural disasters and human predators and without the chance to return to school. And the violence against the Rohingya community in Myanmar has not stopped. In 2018, SOS Children’s Villages responded to the urgent needs of Rohingya children and families at the Kutupalong and Balukhali refugee camps. SOS Children’s Villages Bangladesh opened five child care centers for Rohingya children: hubs for providing an education and a safe place to play for an estimated 300 children every day. We help these children and their families heal and stay healthy through trauma counseling, medical attention and referral services for specialized care for those who need it. You can help us make sure vulnerable children feel safe, loved and cared for throughout the coming year. Take action today to give a child stability and a better chance of succeeding in life. Do you care for a child who has experienced trauma? The first step in healing a traumatized child is to establish a trusting relationship. In accordance with the SOS theory of care, children require stable care from a parent or caregiver in a nurturing environment in order to overcome hardships. All interventions in trauma healing need to be based on healthy, life-giving, unconditional relationships in order for them to work. Based on our 70 years of expertise in working with vulnerable children, we offer information and tips to help you guide your children to a happier, healthier future. Read about Play therapy: Helping babies, toddlers and young children heal from trauma. Guide your child’s recovery with Trauma therapy: Using art to help your child heal.